It’s not too late to help NNCCF support childhood cancer research and the search for a cure. Our goal is to raise $200,000 to support more research grants and clinical trials that can save kid’s lives. We are almost there! Visit to donate. 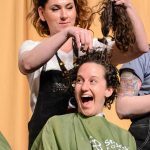 On Friday, March 15, 2019, we held our 14th annual Shave for the Brave event to raise funds for childhood cancer research. 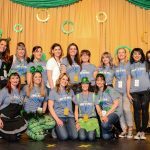 At the downtown Reno Ballroom, we hosted 223 participants to shave their heads in support of finding a cure for cancer. Participants from all around Nevada joined this spectacular event. Thank you to our participants and the generous people supporting our participants for contributing to childhood cancer research. The success of our Shave of the Brave event is because of you, and we are grateful for your generous hearts. As of today, participants and donors have raised $182,154, but the fundraising isn’t over. The community is still finding ways to raise funds and help researchers find better treatments. If you would like to support our event, an individual or a team to reach their fundraising goal, click here. The 2019 grand total of money raised for childhood cancer research will be announced in July when the event officially wraps up. 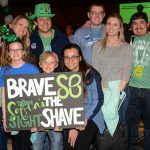 Fundraising for our Shave for the Brave event is unique because of the head-shaving element. 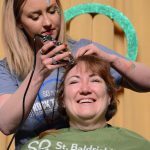 Participants collect donations and pledges to reach their goal, then they step onto the big stage and a barber shaves their head. Many participants shave in memory or in honor of a family member, friend, coworker or another inspirational individual – some participants are cancer survivors themselves. Our first head-shaving event for the St. Baldrick’s Foundation took place in 2006. We shaved 61 heads and raised $86,399 for childhood cancer research. Since our first event, we have seen significant advances in childhood cancer research and treatments available. Today, about 90% of kids with the most common type of cancer, acute lymphoblastic leukemia, will live and join the growing population of long-term childhood cancer survivors. 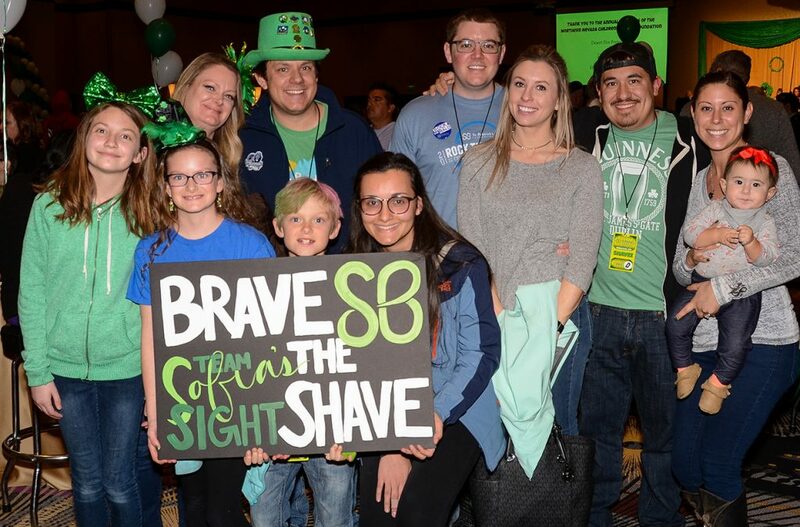 Last year, our Shave for the Brave event was the 16th highest revenue-raising event (out of 1,081 events) for the St. Baldrick’s Foundation. 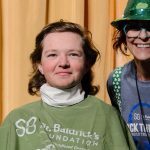 And with our help, the St. Baldrick’s Foundation was able to give more than 140 grants to some of the best childhood cancer researchers in the world in 2018. This included more than 230 institutions conducting 116 clinical trials for children with cancer. We chose the St. Baldrick’s Foundation because they focus solely on childhood cancer research. Their mission is to find cures for childhood cancers and to give survivors long and healthy lives. They are the largest private funder of childhood cancer research grants and give kids nationwide access to the very latest in research and clinical trials. They are also great at reviewing grants and only fund the very best in childhood cancer research. It is part of our mission at NNCCF to advocate for increased research funds, which also includes us doing our own fundraising for childhood cancer research. While we are able to enhance the quality of life for children with cancer in northern Nevada by providing financial assistance and compassionate support programs, we also support the research that will help them beat cancer. 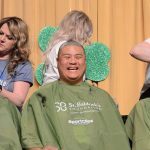 For more pictures of Shave for the Brave 2019, check out our album on Facebook.